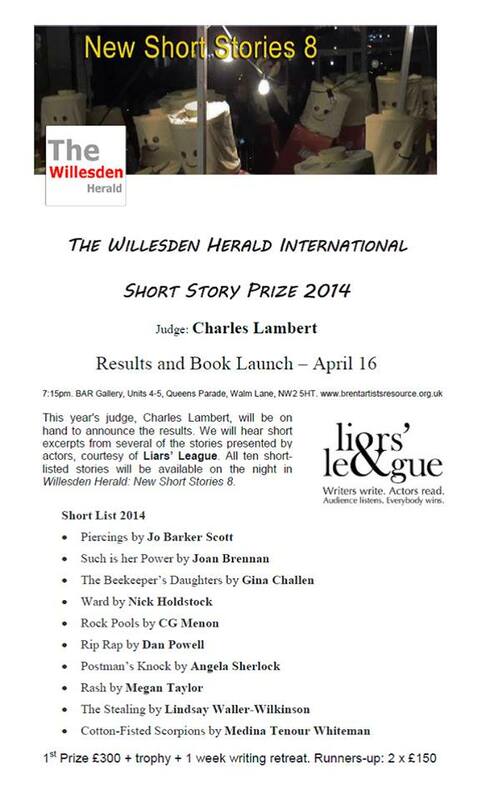 Can’t wait to meet the other shortlisted writers and hear the excerpts performed by The Liars League. Spending the night in London and doing some art galleries on Thursday so expect a post about the evening and the results once I get back. While I’m gone, get pre-ordering your copy of what looks to be an excellent collection. Have a great night and good luck! Thanks. Didn’t win but had a great night anyway. Brilliant to hear a section of my story brought to life by The Liars’ League. The other shortlisted stories sounded fab too. I’d recommend grabbing a copy of the anthology. Links in my latest post.